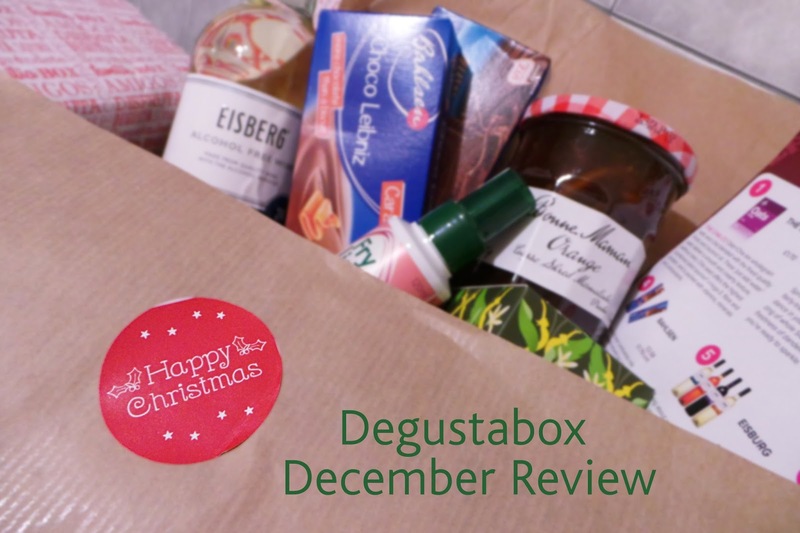 You may have caught my last review of the November Degustabox, but if you didn't let me fill you in. 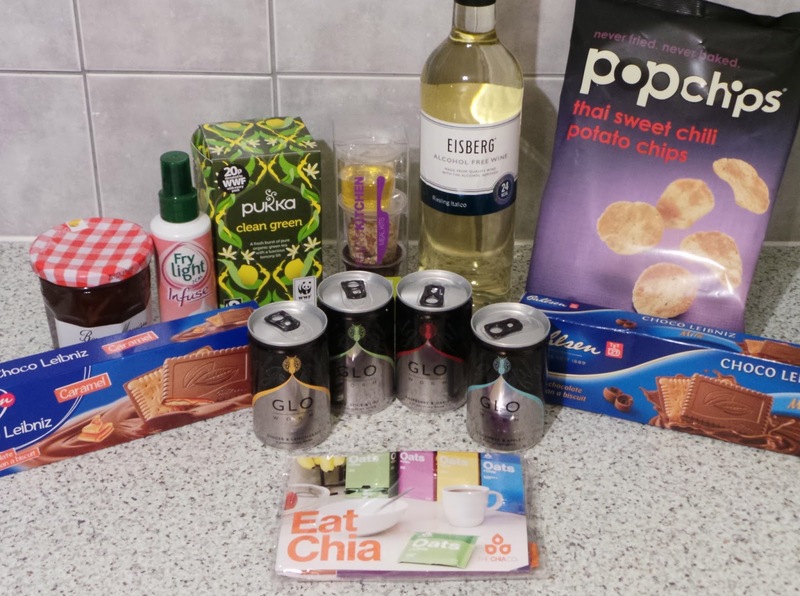 Degustabox is a monthly subscription service, different to any other I've tried previously. The subscription costs £12.99 per month including delivery and you receive a box packed with between 9 and 14 tasty treats/drinks. This month's box arrived earlier than normal due to the Christmas period, however I was disappointed because I would have expected some festive/Christmas related products to be inside the box... maybe some mince pies. Anyway with this minor setback aside, the products in the box all look great, and I can't wait to incorporate some of them into meals and just for snacks in general. Drinkswise there was a bottle of Eisburg non-alcoholic wine, some Pukka Clean Green Tea, and four cans of Glo Worm Stimulant Drinks. I received a bottle of Fry Light Infuse Garlic Spray which I've already used to fry some mushrooms in and it tasted delicious, along with a Kent's Kitchen Meal Kit as savoury/cooking products. And finally, my favourite parts, the snacks! This month there were two packets of Bahlsen Biscuits - in Chocolate and Caramel flavourings, which I can't wait to get my teeth into! 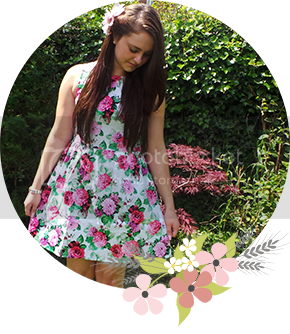 A large bag of Sweet Chilli Popchips, and a jar or coarse shred orange Marmalade from Bonne Maman. Finally there was a packed of Chia - Oats & Chia. I've tried Chia before, and its useful to pop into meals whilst you are cooking, or just to add into snacks as it is a very high source of protein. Again, as promised by Degustabox, the values of the products inside exceed the cost price of the box, so I'm happy, and can definitely see myself making use of all the products in the December Degustabox! Never tried this box before but it certainly looks yummy!